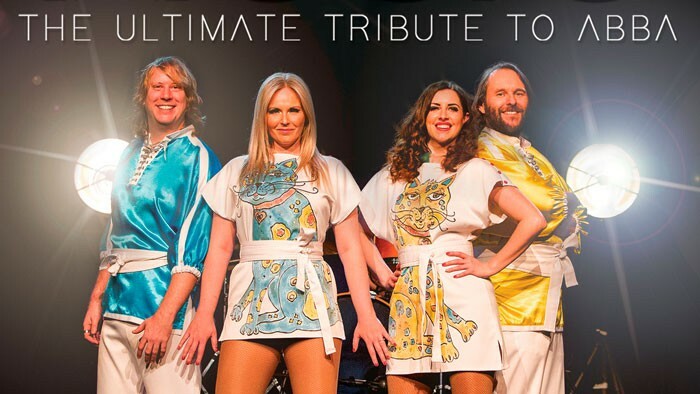 This international smash-hit tribute show brings all of ABBA’s number one hits to the stage in a production like no other. The hugely popular show combines the unmistakable harmonies, colourful costumes and dazzling performances by an all-star cast that’ll have you thanking ABBA for the music again and again! Including the ABBA hits: Waterloo, Dancing Queen, Super Trouper, Mamma Mia, Knowing Me, Knowing You, Gimme,Gimme, Gimme, The Winner Takes It All, Thank You for the Music, Fernando, Money, Money, Money, The Name of the Game, Take A Chance on Me, Chiquitita, SOS, I Do, I Do, I Do, I Do, I Do, Voulez Vous, I Have A Dream, Lay All Your Love On Me, Honey Honey, Ring Ring.